Neil Young News: Shakey Pictures Strikes Again! 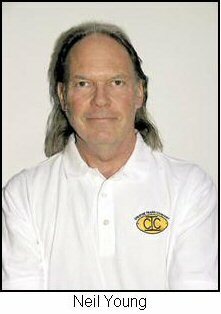 Well, this is for all of you Neil Young train fans. 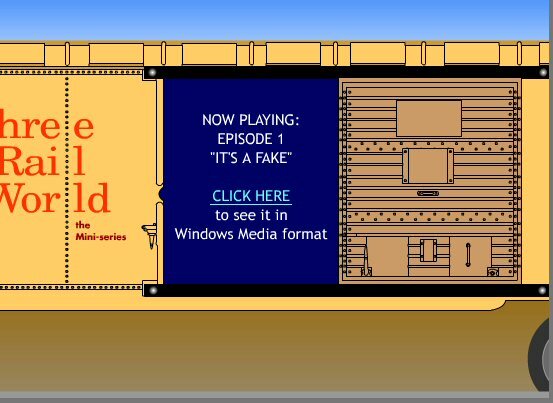 The model toy train community is buzzing about a new marketing video for Lionel trains. 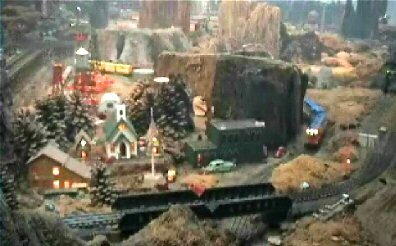 The video appears to be filmed using Neil's train set and one of the character's voices -- "Clyde Coil" -- seems oddly familiar?! You can view the video here. To say this is a Shakey film on par with the cinema spectacle Greendale would be an understatement. No expense has been spared in the acting department. In typically cryptic-Neil fashion and a Da Vinci Code like enigma, the video alludes to greater things to come in the multi-part series. But what could "Clyde Coil"'s mystery reveal? "Like others here, I'm not sure what the point of the exercise is/was supposed to be (awfully corny, to say the least), but my guess is that this is just something of a "preview of coming attractions"--a technical shake-out to see how well the video thing works, to clear-up any glitches, and to otherwise test the waters a bit. Oh, yes. . . those little figures (the cast of characters) used in the clip are really VERY bad. I would at least think they could have used some contemporary Artista or other well-made and nicely painted figures to star in their show. Perhaps there was a purpose to using such really crummy figures, but I can't for the life of me figure out what that might be." More on trains and Neil Young. Thanks to Lou ("Keep On Rockin'") for the tip! What. The. Heck. Was. That. I dont know anything about trains. But I do know something about plot lines. And that "video" didn't have one. I,ve never seen anything like yhat before. Just makes you wonder what the point is. Looked like Neil's version of a typical in-house company promo. I especially liked the old, worn figures in contrast to the shiny "new" trains. Neil is all excited to be bringing back these olden styles and models. He's like a little kid with this stuff! We loved it ! Especially when the cows moooed. Dangeroo guys! The point of the crummy figures was to just set the mood for the whole piece, kind of like in the movie Polar Express. And I thought the tension created by whether or not the Postwar Celebration series are truly Post war or not was marvelous, ranking right up there with a Bergman movie (or at least a Walt Disney flick). Pass the popcorn and let's see that 2341 again.